Marelle Taylor Stampin' Up! Demonstrator Sydney Australia: Bonus Bundles - Only One Day Left! Bonus Bundles - Only One Day Left! Just a reminder that these Bonus Bundles finish TOMORROW! What's better than finding coordinating products? 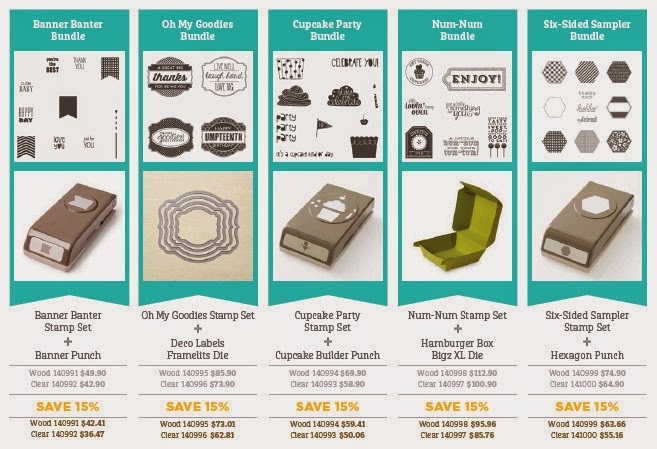 That's right - getting coordinating products at a discount! Stampin' Up! are offering five bonus bundles at 15% off, only available 1 April-17 April. You will love these hand-selected products, and it's undeniable that they simply belong together. Plus, they're perfect for making creativity easy and fun, but hurry - these amazing bundles won't be around forever. They are discounted only until April 17.